Anna and Adelyn love wearing and making jewelry. 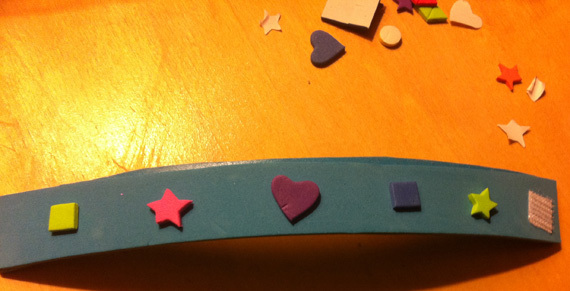 So the other day when Anna's friend Jackson came over, we decided to make foam bracelets. I only had one stick of foam so I had the kids cut two strips and then stick the sticky parts together. If you have regular foam, you can skip this step. Next I cut sticky Velcro squares into four pieces. We put one on one end and one on the other, but on the bottom side. 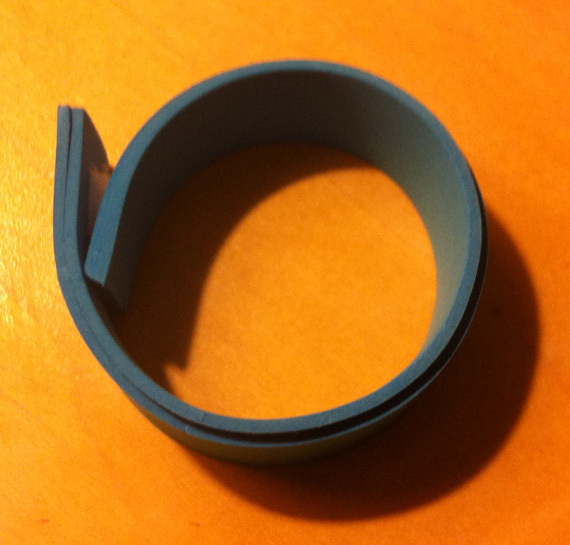 It closes like this. 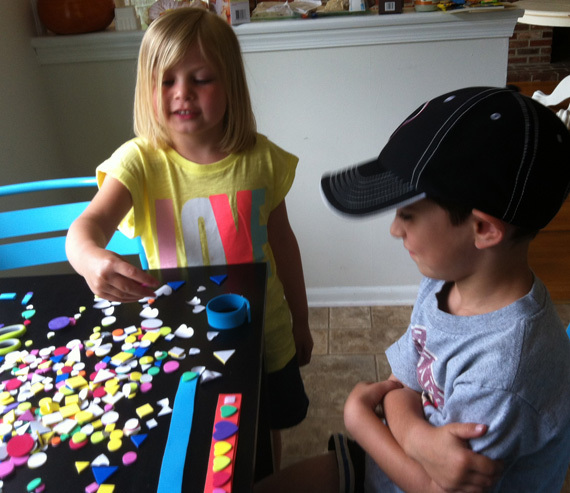 Next the kids decorated with foam stickers. These did not stick well to the foam; to reinforce, we used white glue. As you know I find things I love and become obsessed. Remember my Victoria's Secret sweatshirt and my spring dress? 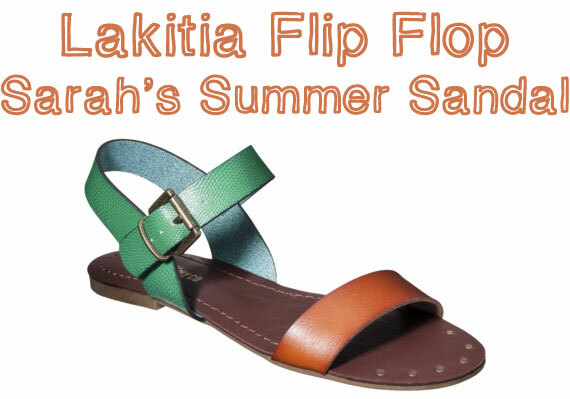 Here is my latest find: Lakita Sandals from, you guessed it, Target. They go with everything, cute with dresses, shorts and capris and CHEAP at only $16.99. Every birthday party I struggle to come up with something a little different. I HATE to give candy and I feel that small toys are not only a choking hazard for smaller siblings, but also very unlikely to ever make it in the house. I always find little plastic toys from party favors under seats when we detail our car. 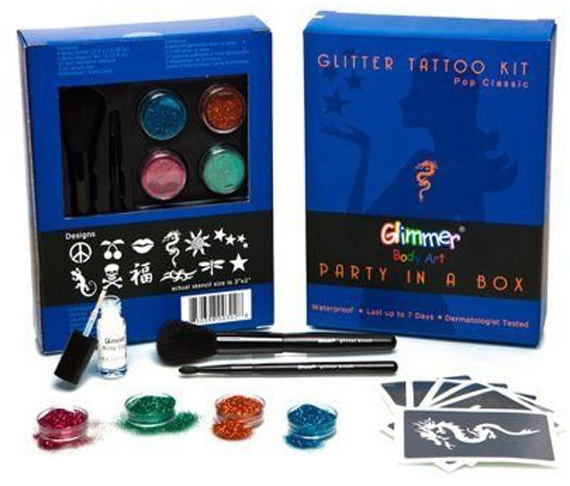 I was so excited to give out these fun party favors. If you missed my last posts about Anna's Movie Party, you can find them here, here, here and here. If you saw this post you will know that my family LOVES bathtub paint. 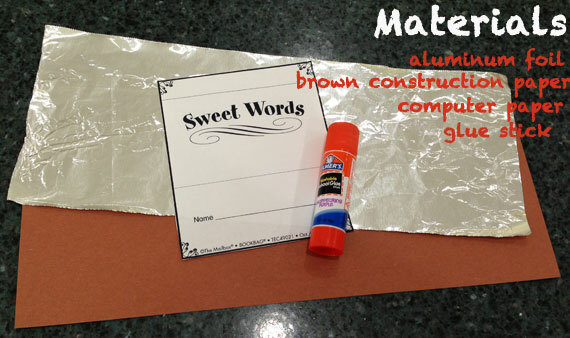 Anna and I decided that it would be so fun to give out the materials to make it. Assuming that everyone has food coloring we gave out shaving cream and a foam paint brush. 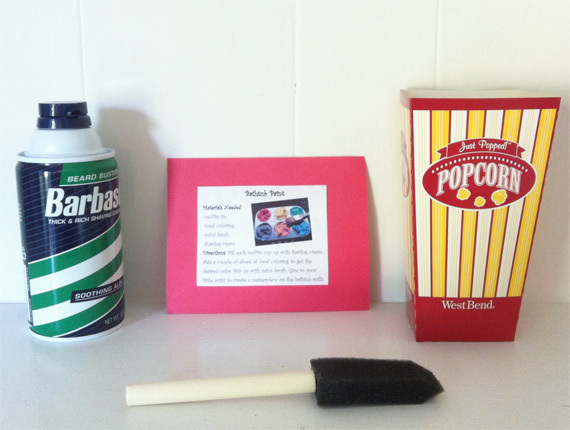 To keep with the popcorn theme we put them with a tag that explained how to make the bathtub paint in a popcorn box. 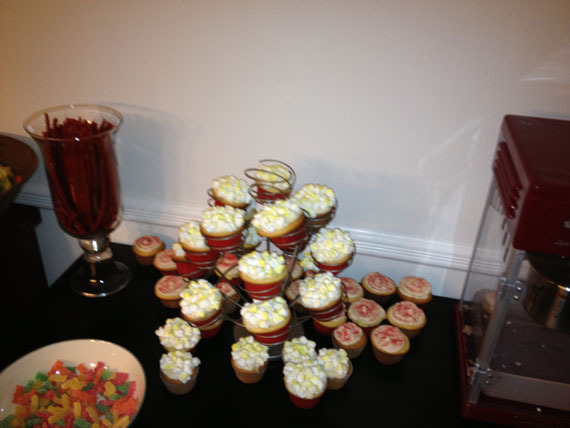 Not only did everyone love these, but they made cute decoration during the party! Sarah is known to introduce her friends to the things she likes; she's a creature of habit! Of course she passed on her love of the Silver Diner to Mandi and, well, all her friends! We are in there so much that the servers recognize us, one girl in particular whom we are embarrassed to say, we don't actually know her name. Sometimes I wonder if they think that we are one large crazy family; two moms, two dads and a boatload of kids! 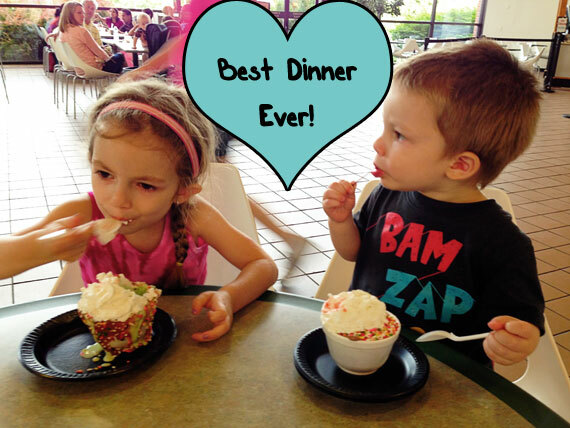 We had the opportunity to try their newest menu and we jumped at the chance! We brought the families and smushed in a booth. (We like to be cozy!) 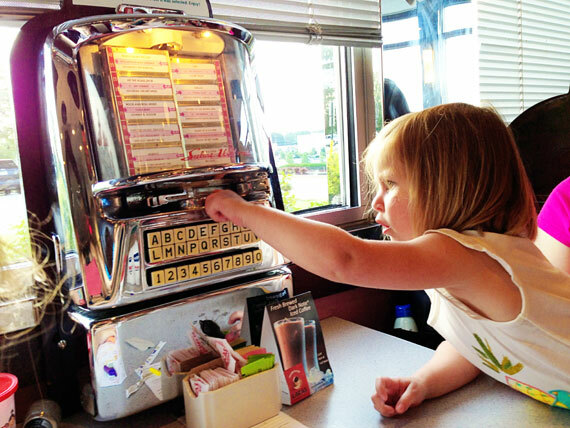 The kids colored with the crayons and place mats they provided and entertained themselves on the tableside jukebox. We love the kid friendliness of the place. Kids night is Tuesdays complete with facepainting, crafts and balloon artists, all free of charge. TOTALLY worth it! Hot Wings - They are among the best in the area! Black Bean Hummus - Amazing! We expected hummus made out of black beans but it was regular hummus with black beans mixed in. Very well seasoned and very tasty! We decided to get two meals and split them. We couldn't decide! The husbands got their own, guess they are more decisive than us! Warm Roasted Veggie Salad - While it may not sound like a summer salad (warm?!) it was extremely satisfying. Perfect blend of things we would never think to put in a salad but work well together. Sarah gets this almost every time she goes there! Local Flat Iron Steak - Do you like blue cheese? Do you like steak? Enough said, it was great!! Greek Lamb Sliders - If Sarah doesn't get the roasted veggie salad than she gets this. Tzatziki, onions, feta, rocket greens on a wheat bun with a Greek side salad. Perfect meal! Build Your Own Burger - Great burgers done the way you like it! 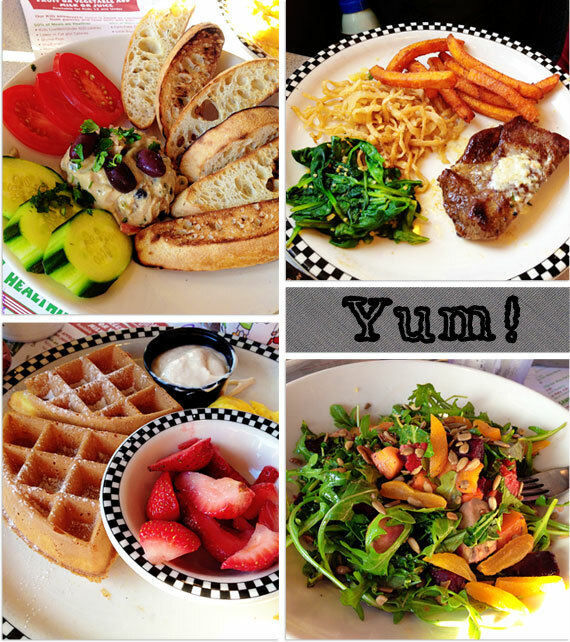 Waffles, Strawberries and Eggs Kids Meals - All the kids had the same thing and all the kids gobbled it up! This menu for this season has proven to be a hit for our families. We really hope they keep these things on the menu year round! 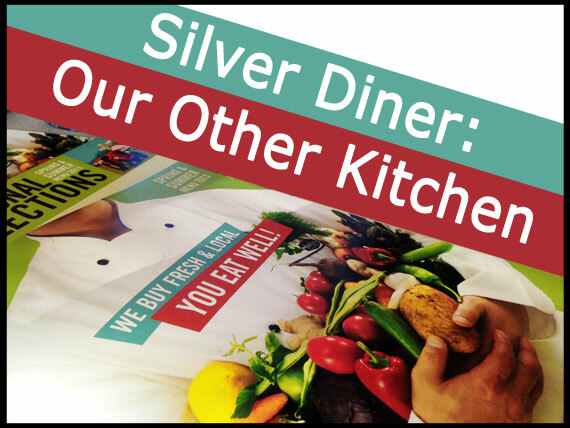 We love Silver Diner for the tasty food, healthy and seasonal options and the fact they buy local. Try it! To make these we made our favorite vanilla cupcakes with butter cream icing (Anna's Favorite). 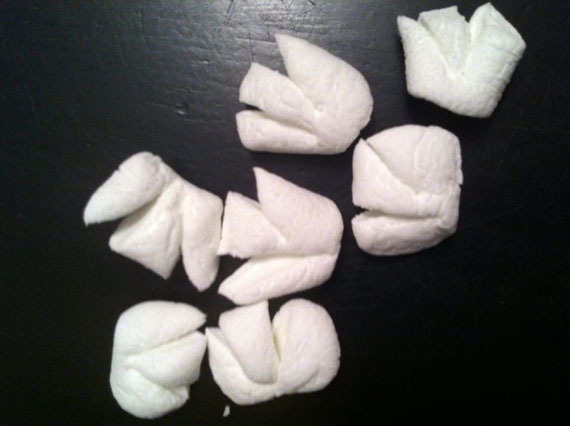 While the cupcakes were baking, Sarah and I cut mini-marshmallows into popcorn shapes. Basically we randomly cut them so each looked a little different, just like popcorn. Sarah used a large star tip and swirl icing technique and iced each cupcake. Then we placed each "popcorn kernel" on top of the icing. 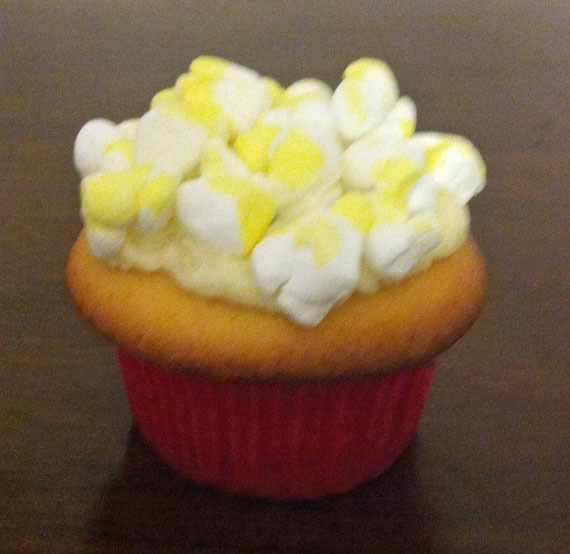 We watered down yellow food dye and used a kitchen brush to paint on the tops of the kernels to give the cakes the buttered-popcorn look. I am not going to lie. These cupcakes were a big hit! Also, just as a note: if you have any vegetarian friends, marshmallows are not vegetarian. You can either leave some without marshmallows or buy vegetarian marshmallows. Ever since I had kids I wanted to be the family that decorated for every holiday. Problem is I don't. I'm never good at remembering to put things up on time, take them down or, let's be honest, remember to get them! 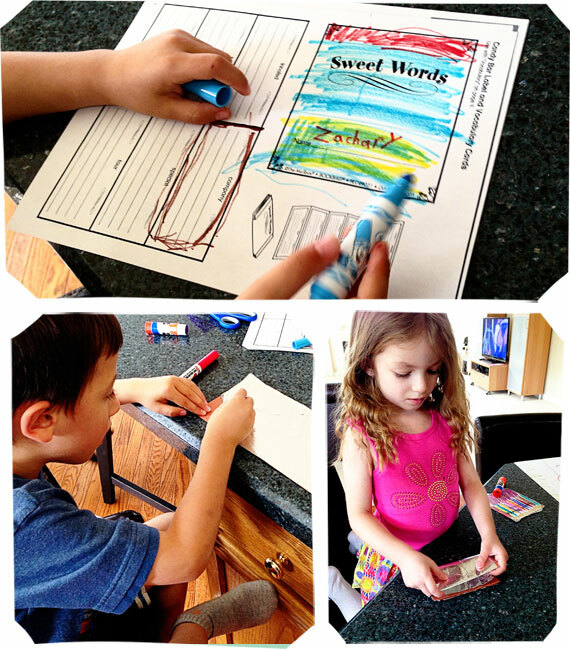 I'm trying to be more creative and get the kids involved so that they help remind me to decorate! 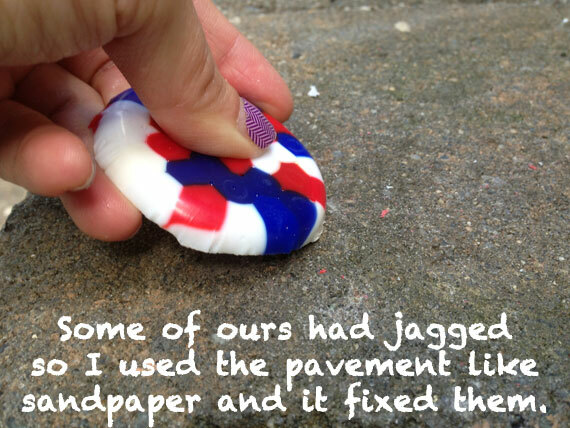 I was racking my brain for a patriotic craft that was different. 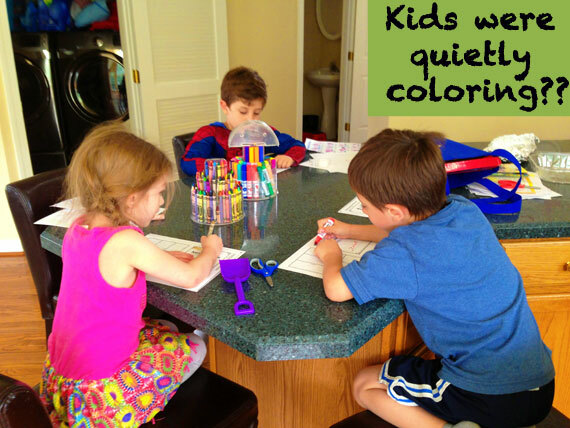 The kids work with construction paper A LOT so something different would hopefully keep their attention longer. 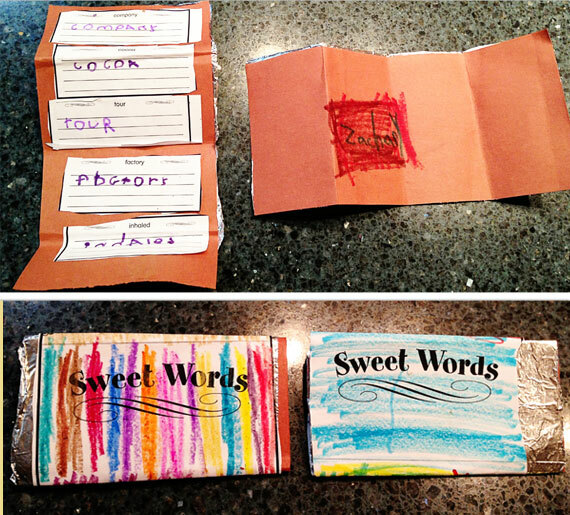 I was inspired by this post by The Artful Parent. 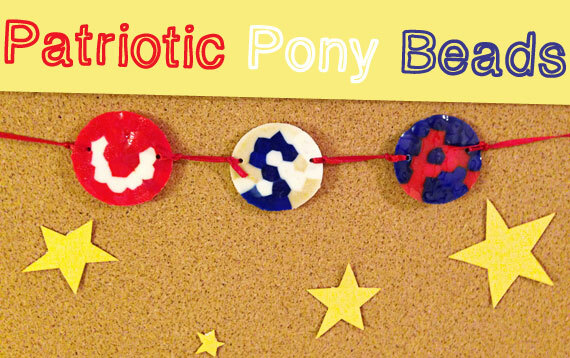 Instead of making sun catchers we made patriotic mosaics which we made into garland. After this project I think we will be making actual sun catchers soon! 1. 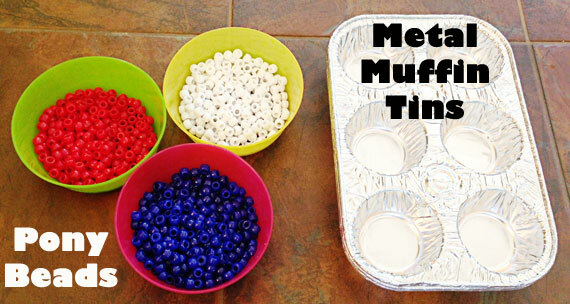 Arrange the beads in a single layer in the muffin tins. 2. Place the tins in the oven at 400ºF convection for 8 minutes. If your oven isn't convection it might need a bit longer. 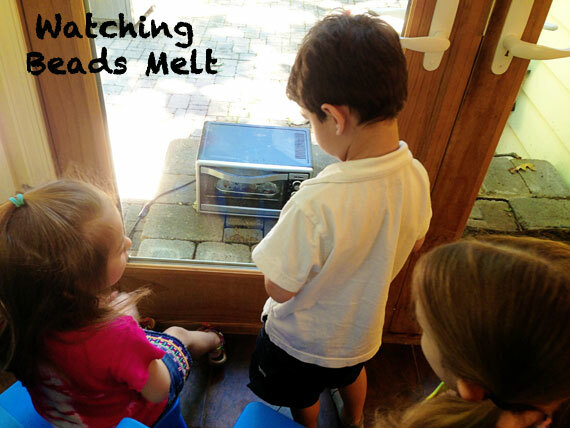 We used a toaster oven that we put outside to bake so the fumes weren't around us and let the kids watch them back through the window which was great since they couldn't get too close to the toaster. The plastic stinks when it's cooking and I can't imagine it's good for you! It also smokes towards the end of baking. 3. Take out and cool completely. 4. 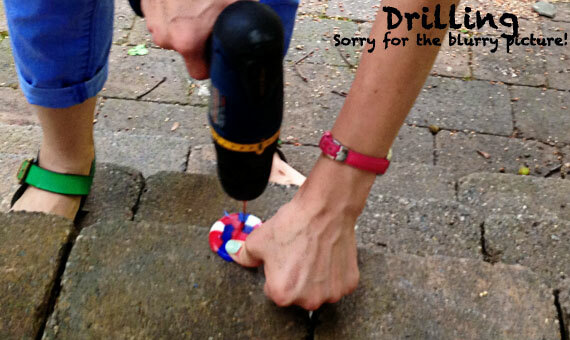 Drill holes in the two sides of the circles and string them together. Now decorate your house!! Where did you hang your garland? 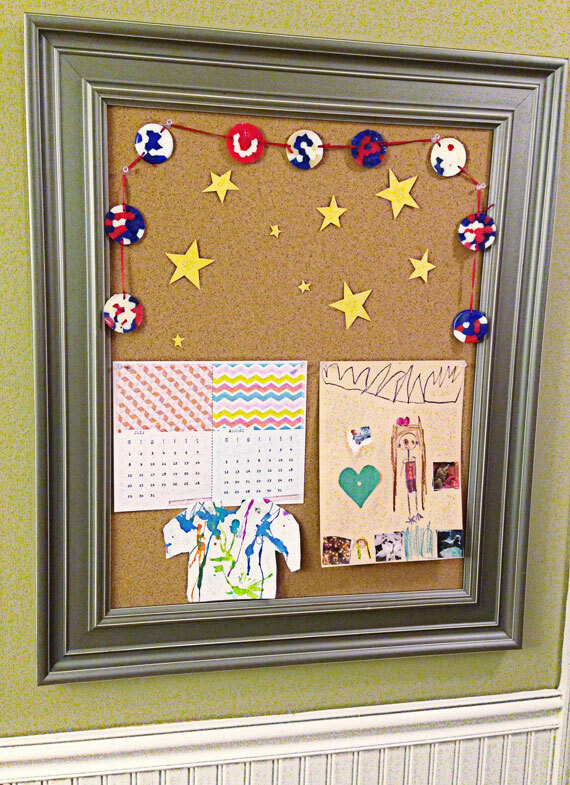 Ours is on our bulletin board. In my last two posts I discussed invites, lion mask craft, and glitter tattoos. If you missed them, check them out here and here. 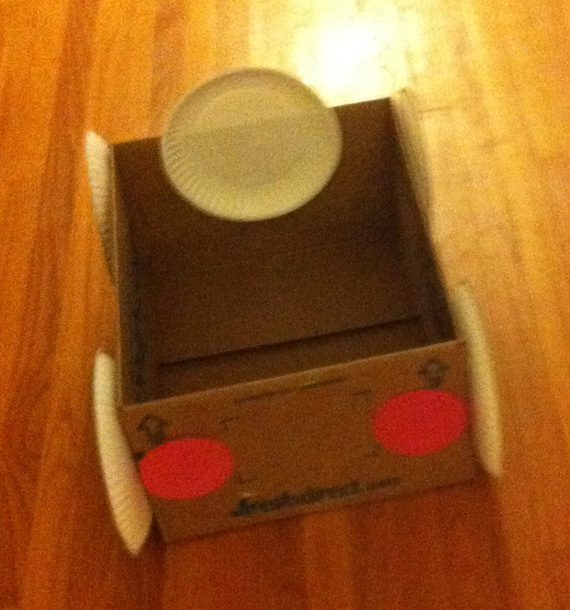 Today I want to share the cars that I made out of boxes. Keeping with the theme of movies I thought it would fun to pretend to be at a drive in and it would be a fun place to sit to watch the movie for those kids who were sitting on the floor. 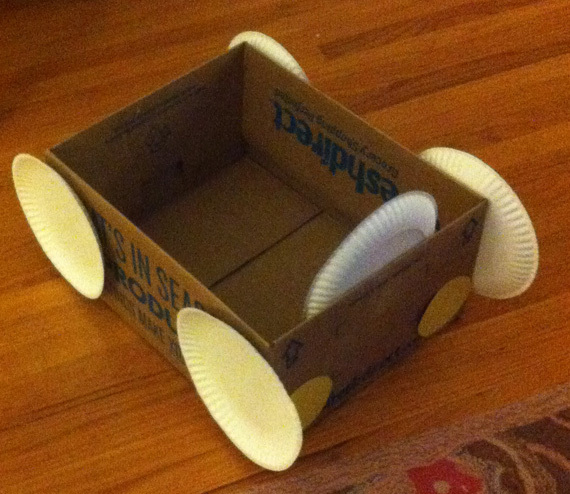 I took boxes that were big enough for the kids to sit in and I glued a white paper plate inside for the steering wheel. Next I cut out circles in red and yellow. I put two yellow ones on the front and two red ones on the back for each car. I also glued white paper on the bottom four corners of the box for wheels. Here is how they turned out. (Sorry for the grainy photos, but the cars got trashed at the party and these were the only ones I took before the party--it was 1:00 am). The kids went nuts over these cars! I was glad I stayed up so late to make them. Several moms commented that their child has never sat for that long before and they needed one for their house. I got the idea for this here. 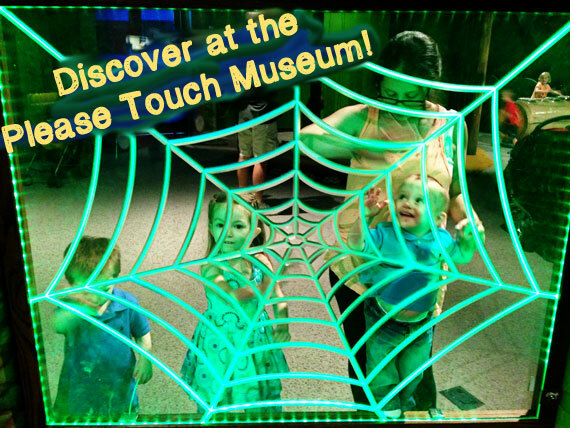 Philadelphia area people might already be familiar but, if not, let me tell you about the Please Touch Museum! When we lived in Philly we went often but, since we moved to New Jersey, it's not as close so we haven't been in a while. We miss it!! 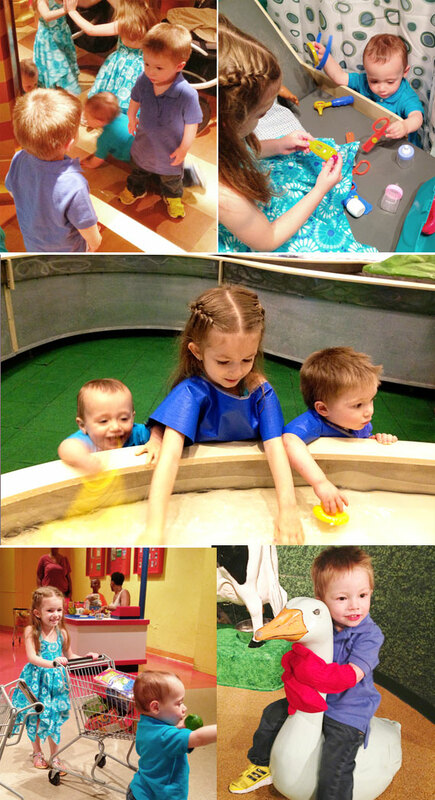 My sister in law, Beth, got a Living Social deal for the museum and we took Maya, Simon and my nephew Mason. We went on a Saturday so it was busier than on a week day but it was very manageable. The staff is conscientious and friendly, the museum is very clean and the atmosphere inviting. From my experience, if you have the flexibility, weekday afternoons are the most empty but, if you don't, go on the weekend! We began with the water area. All three kids were taken by the swishes, plastic ducks and splashes and didn't want to move on. We finally made it to "Alice In Wonderland" where the kids got lost in mirror mazes and fairy tale play area for under 3s. When Simon saw the trucks he bee-lined. He referred to every vehicle in the museum as "my truck" or "my car". So nice of him to share! Beth took Maya to do an art project while Simon drove Mason and I to "Seatbelt". That's what he told us. Near "his" trucks there was a Shop Rite grocery store, hospital, shoe store and a few other stores in their mini city. This museum appealed to all three of the kids aged 15 months to 5.5 years. I would highly recommend visiting if you're in the area! No need to pay for parking. All the streets around there are free parking unless you see signs otherwise and I've never had a problem finding spots. Tickets are good from one year of the date printed on unused tickets. For example, if you buy a Living Social promotion and can't use the promotion before it expires, buy the tickets and you can use them for one year. Am I making sense? Bring your own food. While I have had the food there and it is actually good you can bring your own and save money! Check showtimes and get there a few minutes early. The shows are WORTH IT! 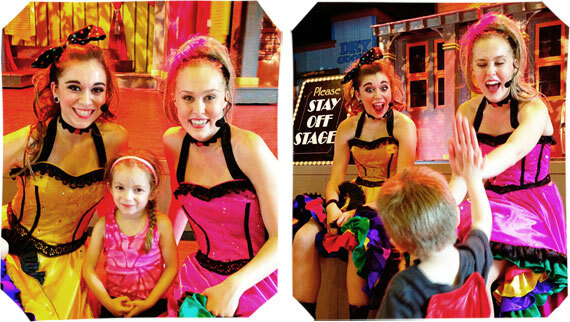 They have amazing live and interactive puppet shows. The carousel is out of order until the beginning of July. I have been hesitant about writing this post because we did so many cool things and I wanted to share them all with you so I am going to break this party up into several posts. My oldest child Anna wanted to have a movie night birthday party for her fifth birthday. It is so crazy to me to think that she is already five years old. They are not joking when they that time flies by so fast! She started talking about this and planning it a year in advance. She is quite the little planner. Although I must admit she comes by it honestly. As it got closer to her birthday it occurred to me that this party meant we would be inviting around fifty people to my house (25 of which were children) seven weeks after having William. I know, I know I am crazy (believe me I hear this all of the time). I did a few things to make it easier on me. First I used evite. This is a free (yes free!) site where you can create a customized invitation for any occasion.You create it and email it to everyone on your list. Then the rest of the work is done by evite. It keeps track of all of your RSVP's and it even sends guests a reminder email a few days before the party. As I browsed the available invitation stumbled on one that was a movie ticket stub. I was psyched. The second thing I did was schedule the party in the evening This way I (plus Sarah and my husband) would have the whole day to get ready for the party. I asked the guests to wear their favorite pajamas (then they are already for bed) because that's what we do when we have a movie night in our house and I thought the kids would think it was fun. When the guests arrived I (running around like a chicken with my head cut off while nursing the baby and delegating jobs to whoever walked through the door) I asked one my good friends to gather up the kids as they arrived and do a craft with the them. 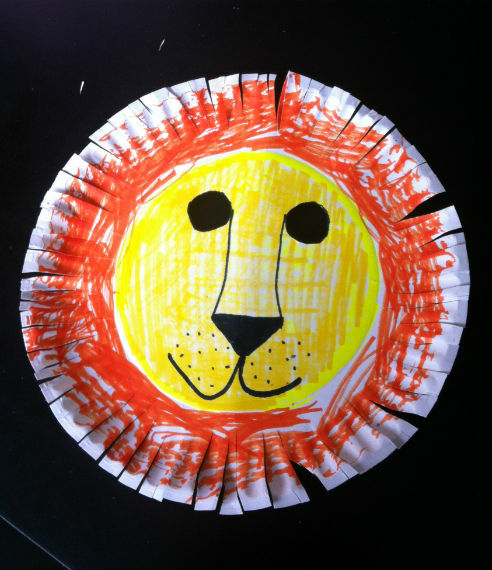 They made these lion masks out of paper plates (we showed the movie Madagascar 3). This is the one that Maya made didn't she did a great job? I drew a circle on the plate and asked her to color it in yellow then I asked her to color the outside orange I showed her how to make the edges look like fringe with scissors. To prepare for the craft Sarah drew a circle on each plate and cut the eyes out. I had Maya and Anna make them the day before so that we could hang them up for decoration (also so the other kids could see the finished product). Anna wasn't really that interested in helping me make cupcakes for our Father's Day BBQ. (Thanks Jared and Sarah!) 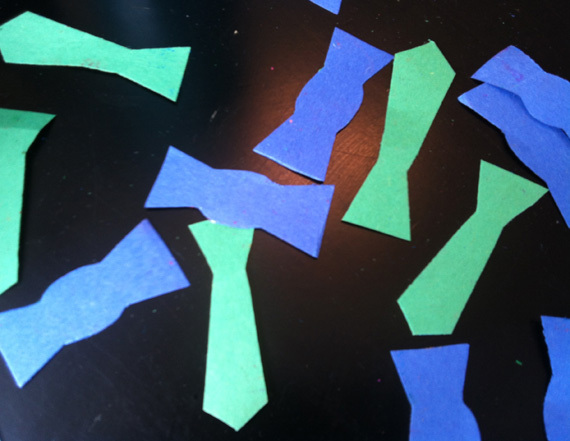 So I came up with the idea to make tiny ties and bow ties. She loved this project (every project), so while the cupcakes were baking (I used this recipe, it actually makes 36 cupcakes so you may want to double your frosting recipe depending on how you are going to ice them, I used this one) I cut out the shapes like this. I really wanted to obsess about making these perfect, but I decided not to. Then she decorated them as she liked. She used pastels and colored just the front of every tie and bow tie. Her dad wears a tie to work everyday so she has seen a lot of ties. She colored a lot of them stripped, which I thought was very appropriate! 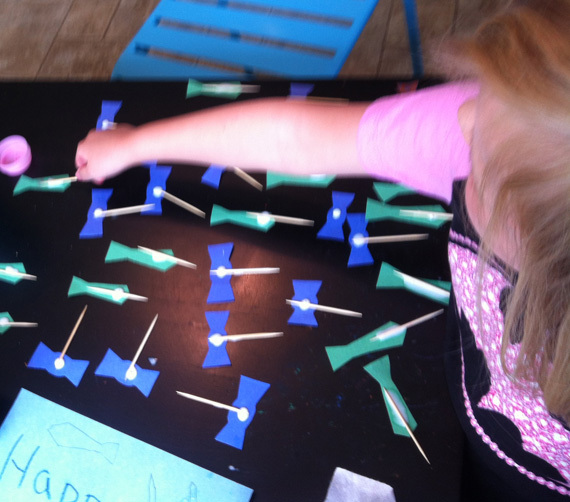 Next she glued a toothpick to each one. I iced the cupcakes using a large star tip. I bought this set on Amazon. I have to admit: this may have been the best $9 I have ever spent! Hope you had an excellent Father's Day! 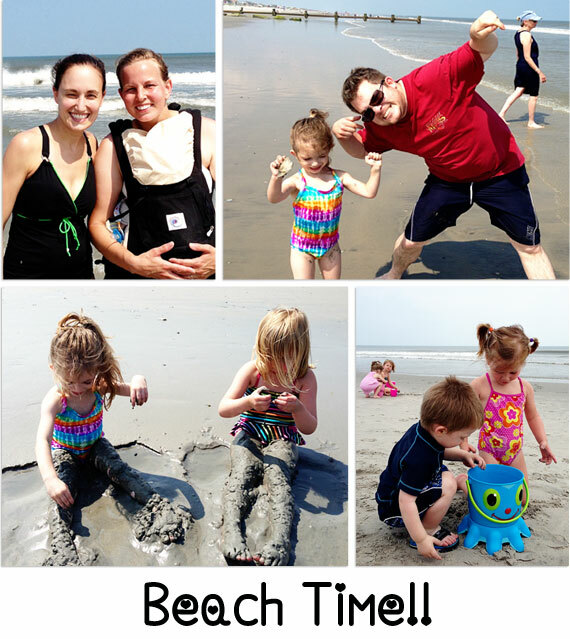 For our second day trip we visited Mandi and family at the beach! They are on a family vacation with Bill's side of the family, and they were generous enough to include us for the day! It was so nice to meet people I had only heard stories about (all good ones!) and nice spend time with the people we have met through other family functions. The kids were so excited to see each other, we didn't tell them until the last minute just in case something fell through! We got there around lunch time. Mandi and I took a run and the guys took the kids to the beach. I'm embarrassed to say that this was the first time my kids have played on the beach. I'm not a huge sand person so I never think to go to the beach but now I know we will have to come back! Simon was literally rolling around in it and they both spent HOURS playing in the sand and jumping in the waves. We finished off the day with the most amazing fried fish. I can't even describe to you how amazing it tasted! There were tons of varieties, lots of conversation and a perfect ending to the day! Before this week day tripping to the beach would not have been my first choice. That has changed!! As long as I have a place to shower I think day-tripping to the beach will be on our agenda again for the summer! I made these tonight to go with our dinner: salad, whole wheat pasta with marinara sauce, and turkey mini-meatballs. We just got back from our beach vacation. We had so much fun! I had to kind of throw dinner together and use what we had. I pulled out the zucchini. They were quite simple and extremely delicious! I'm thinking you too likely have some zucchinis, so I thought I'd share. Preheat oven to 350. 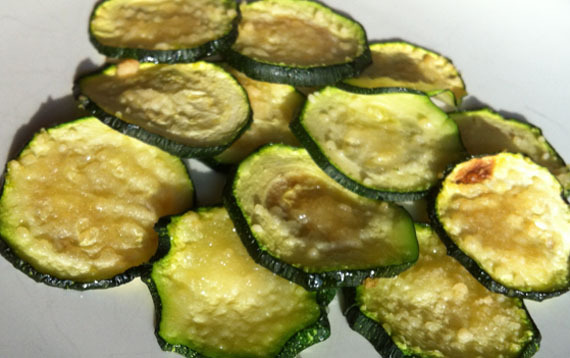 Toss zucchinis in canola oil and sprinkle with Parmesan cheese. Bake for 15-20 minutes (time depends on how thin you slice them). Enjoy! 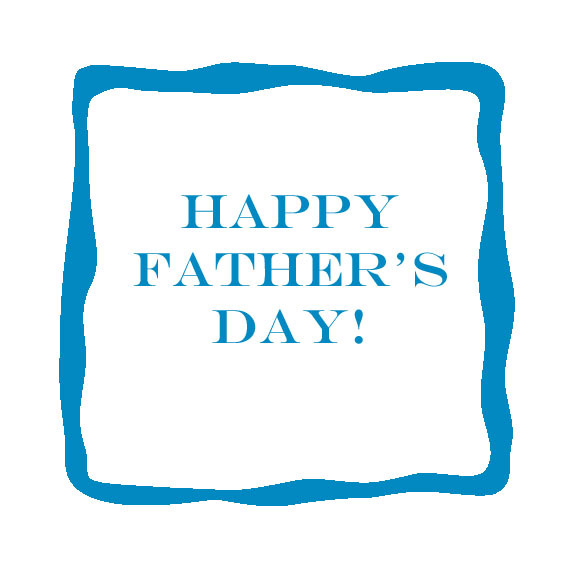 We appreciate all that you do for your families! You are the BEST! This week Jared was off and, for the first time in a while, we didn't have a million things that we had to do; just plain nothing. We decided to take advantage of the local things we never see and to sleep in every day! 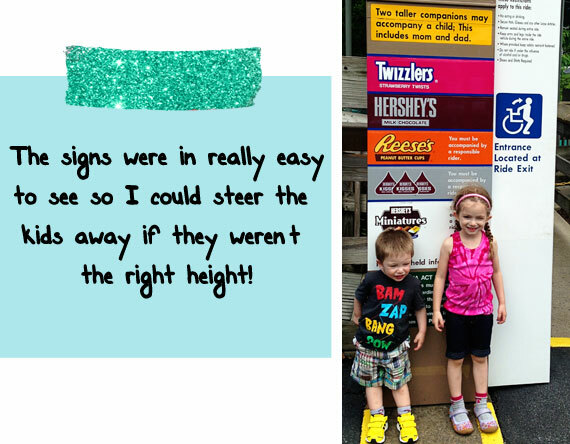 Our first stop was Hershey Park. I will admit that I was hesitant since every time we have gone to an amusement park Maya has been too short to ride half the rides. 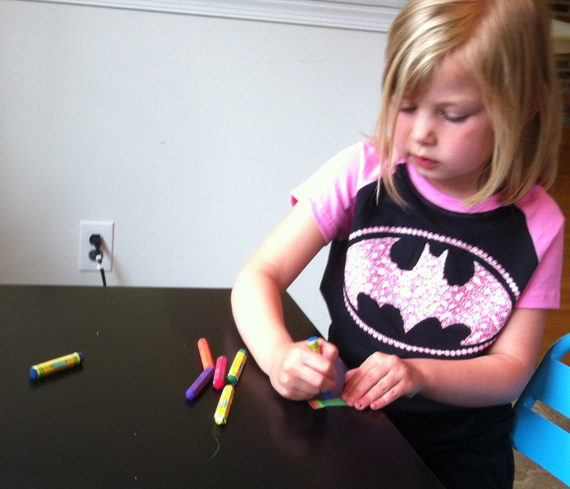 She is on the small end of the spectrum but has the fearlessness of Super Woman! On a recent trip to an amusement park she was barely able to go on any ride and, while she took it like a champ, you could see the disappointment in her eyes. This time we did research! Hershey Park had TONS of rides for her size. They make the signs visible from afar so you can easily steer the kids away if they are not the right height. 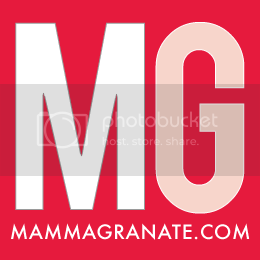 We found discounted tickets here that are good through July 30, 2013. 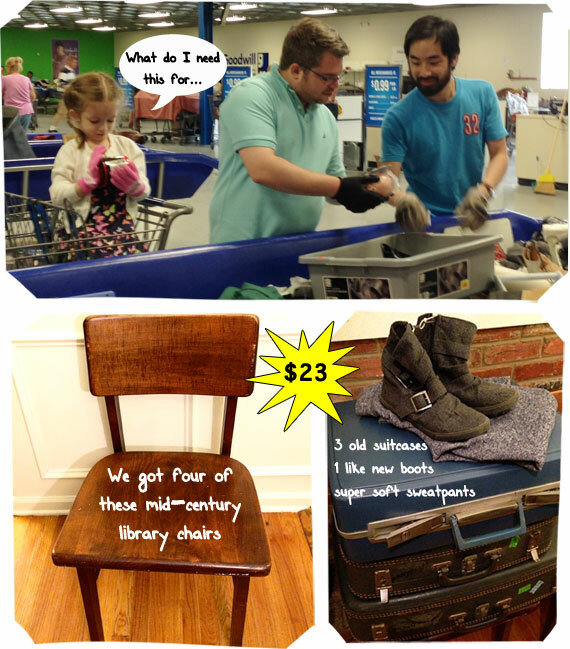 It made our family of four, with one under 3, about $107! We started out at Hershey's Chocolate World and went on the free tour. We got mini chocolate bars at the end and I heard they change what you get each day! When you're at the park please do yourself a favor and go to the Pratt Falls Saloon! It's shaded, right near bathrooms and there is food. They have a fantastic musical show, much more than I would have expected. (And this is coming from a former theatre person!) It's a chance for everyone to relax and sit and the kids had a blast. They have shows at particular times which I'm sure you could look up when you get there. Judging by that I'd say check out any show they offer! At the end of the day we went back to Chocolate World and, to my kids delight, we fed them ice cream and candy before dinner. Needless to say dinner was not a huge success but my goodness were the kids happy! And anyone who says that sugar does NOT make kids hyper should have driven in our car on the way home...their minds would be changed. They were happy and super funny until they went to sleep at 10:45pm!